I just came back from a conference held by a group known as the Andover Educators on music and bodymapping. I've mentioned bodymapping before as the maps that our brain creates in order to execute movements and tasks, but more importantly, bodymapping is about creating a more embodied musical experience, from toes to breath to whole body alignment. 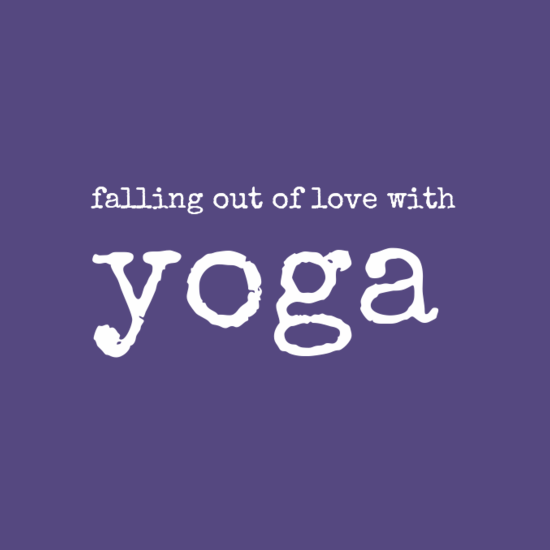 With my training in yoga, Yoga Tune Up®, and Restorative Exercise, bodymapping is a nice way to tie these different threads of non-musical movement together and apply it to musical study. Yet, so many musicians lead a full career without directly thinking much about the rest of their bodies, so why bother? 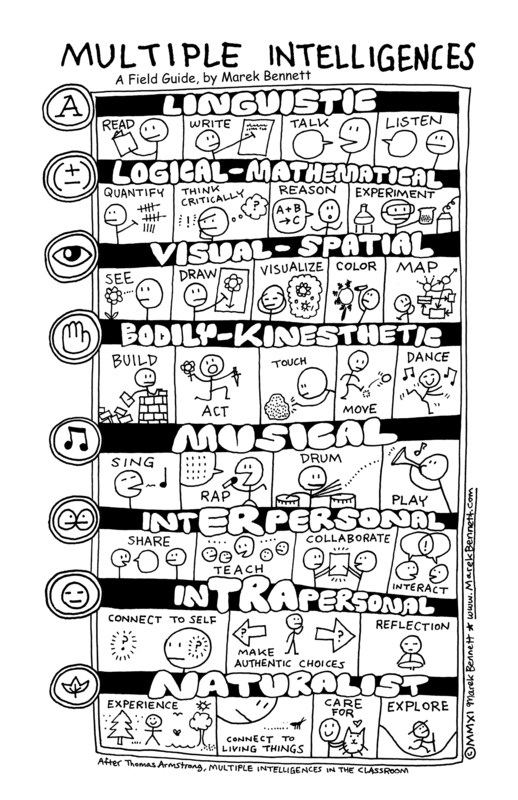 I would argue that musical uses most of these different intelligences, yet many of us skip out on some of the bodily kinesthetic possibilities of how making music feels. Image by Marek Bennett. Most people (including musicians) don't think about their bodies until they stop working, get injured, or in pain. There isn't always a sense that we can prevent injury and pain with the way we use our body in music and daily life. Everything from the chairs we sit in, the shoes we wear, and the way we breathe affects our music-making and shapes our long term body development from a young age. 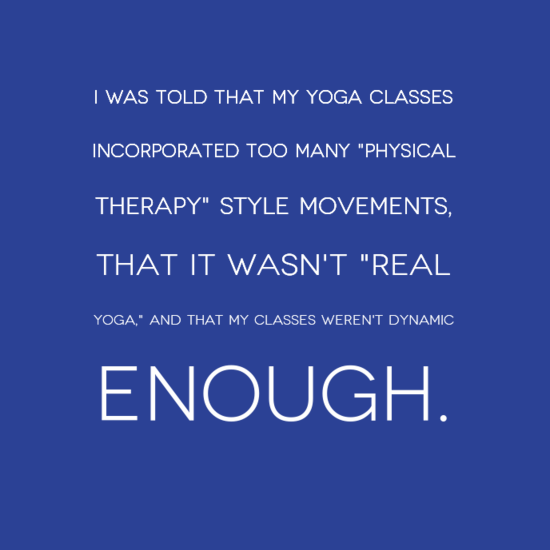 Bodymapping, as well as Alexander Technique, Feldenkrais, yoga, pilates, and many other somatic practices, aim to help practitioners gain awareness in their whole bodies, while also finding more natural movement patterns, perhaps with less tension, faulty muscle recruitment, etc. Aside from preventing injury or recovering from injury, why would someone want to learn these practices? Because it is possible to play better, more freely, and with more refined awareness than most of us initially learn. Musicians aren't always apt to call what we do a movement-based practice, and many might not even call themselves artists, but musicians are both movers, artists, and athletes. As musicians, if we only think about our hands, embouchure, and instrument when making music and practicing, we are missing a huge area for change and growth. Our musical practice is not only musical, but kinesthetic, spatial, intra and interpersonal, and more. When we look to other areas of the body to notice tension patterns or habits (do you rock to your toes when things get hard? do your knees lock when you audition? what is your spine doing when you have spiccato? do you grip with your jaw when you have a soft passage? ), we not only expand our own whole-body awareness, but can see how everything in the body is related. When I breathe shallowly while playing or hunch forward, it can affect my sound as a violist, as well as limit the freedom and bloodflow in my arms, neck, and shoulders while playing. It may also mean that I'm unable to play passages as well as I might otherwise do. When you have the ability to look beyond your immediate instrument, you have a larger toolkit for problem solving musical issues as well as expanding awareness in injury prevention and recovery, both for yourself and your students. Everything is connected in our bodies, and it all affects our sound, setup, facility, and embodied music-making. Sometimes, the smallest change in habit or alignment can create a huge breakthrough in sound, skills, or discomfort, which is true proof that music is a movement practice. Although this process of embodying music is a lifetime project, each day, your awareness expands, your performing presence changes, and music becomes not only the sound of your instrument, but a reflection of whole body synchronicity, heartfelt honesty, and conscientious practice.